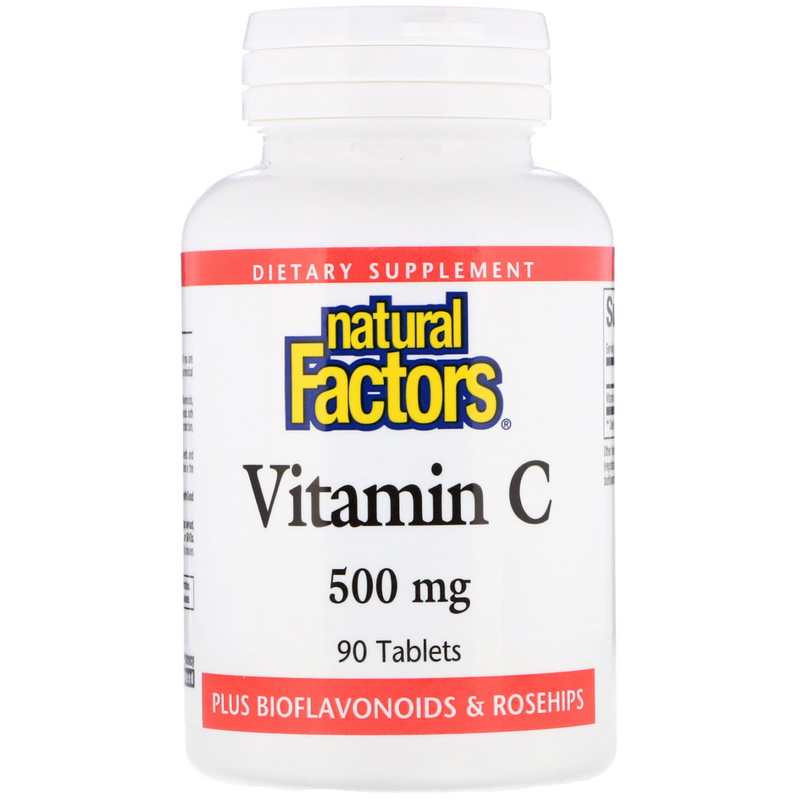 Our Vitamin C tablets contain 500 mg of Vitamin C is a blend of citrus bioflavonoids hesperidin, rosehips, and rutin to optimize the body's use of vitamin C. Bioflavonoids both enhance the absorption and act in synergy with vitamin C to provide antioxidant protection, keep collagen healthy, and help increase capillary strength. Vitamin C is a powerful antioxidant which supports healthy bones, cartilage, teeth, and gums. It helps protect cells against free radical damage and vitamin C deficiencies in the daily diet, and supports healthy cell growth. 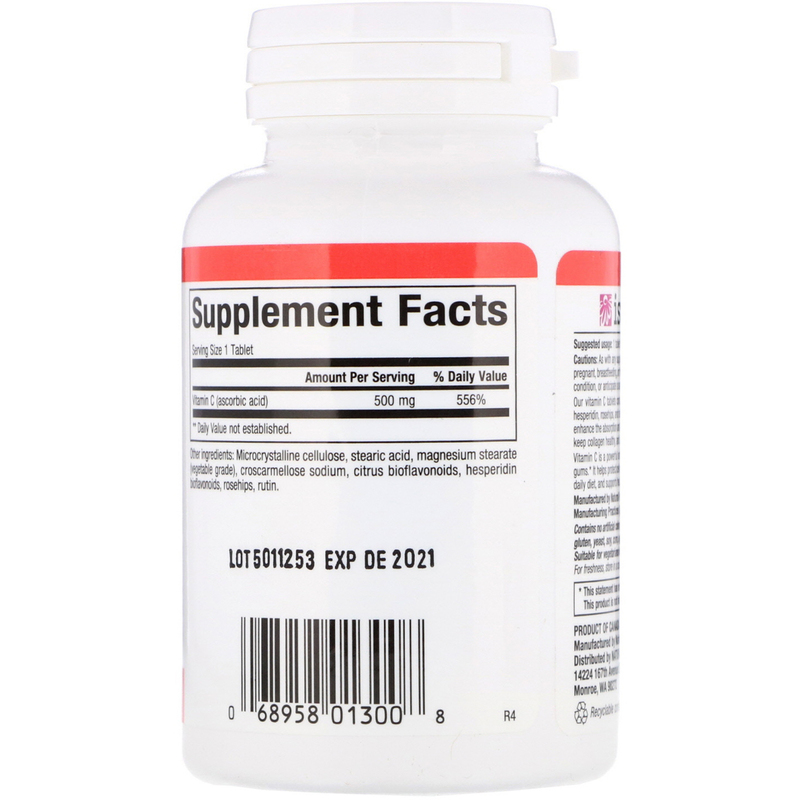 Microcrystalline cellulose, stearic acid, magnesium stearate (vegetable grade), croscarmellose sodium, citrus bioflavonoids, hesperidin bioflavonoids, rosehips and rutin.